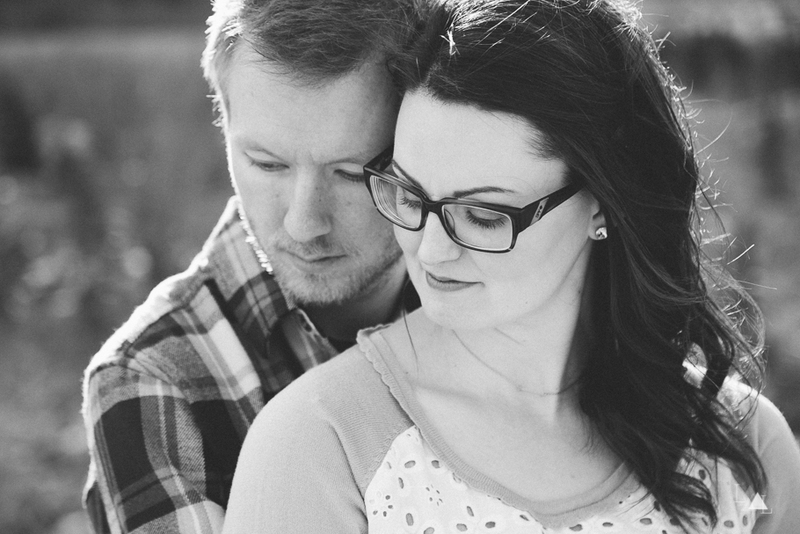 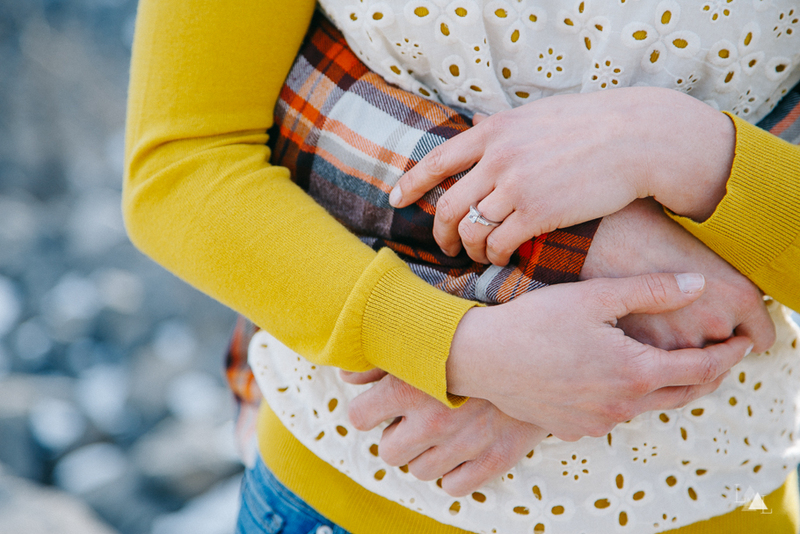 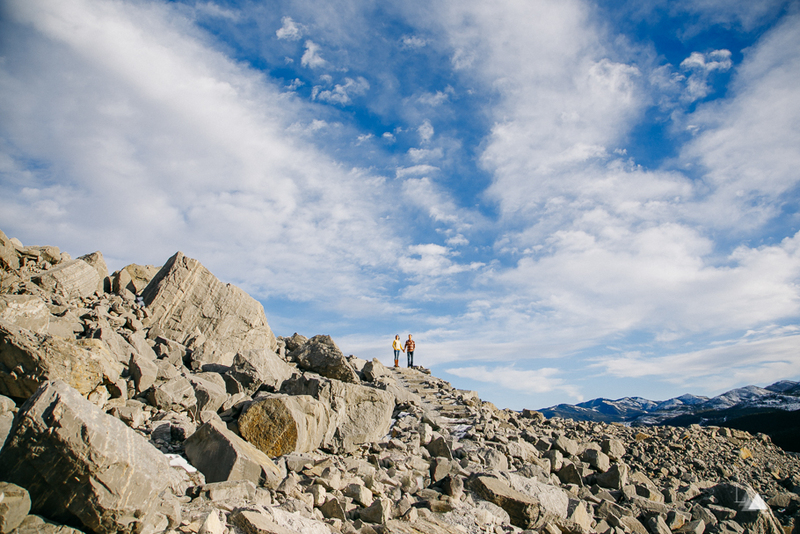 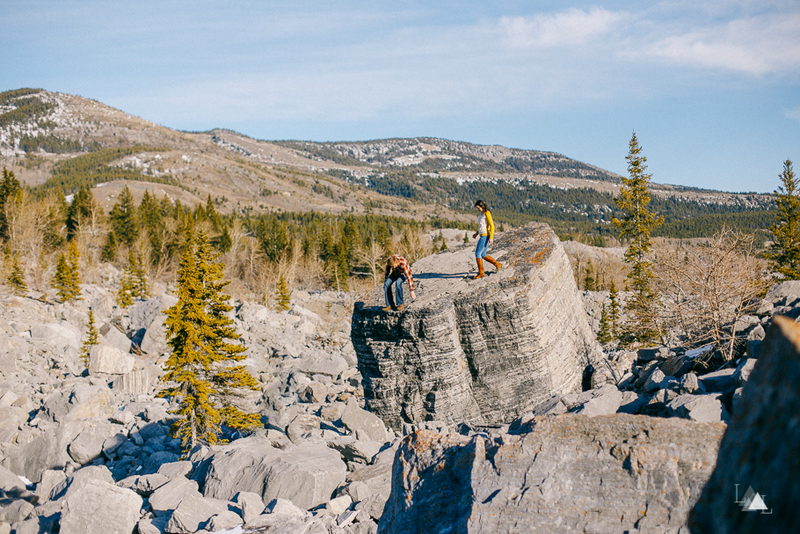 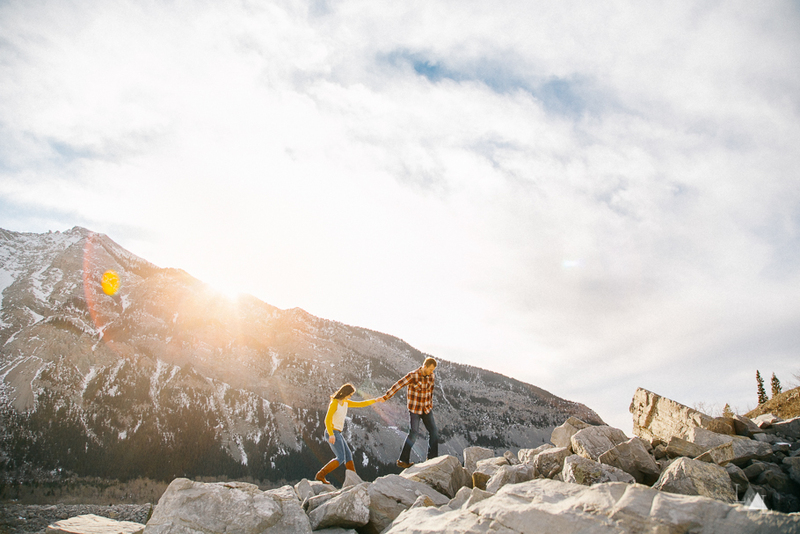 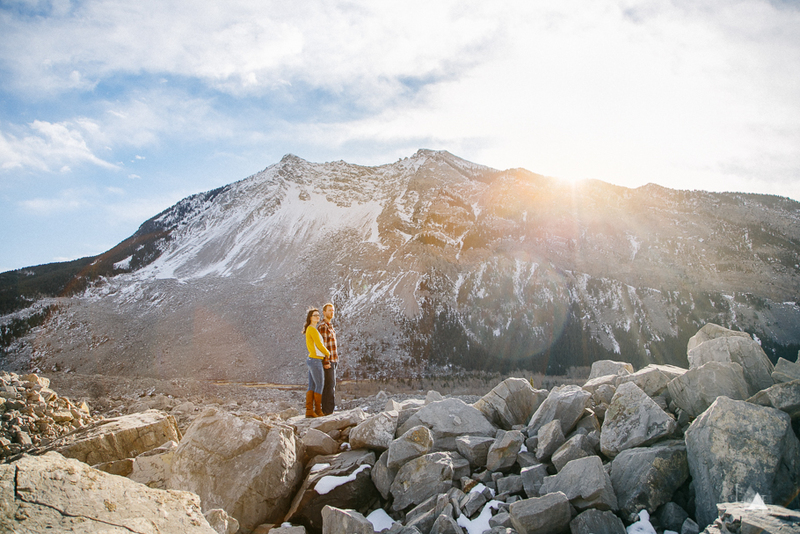 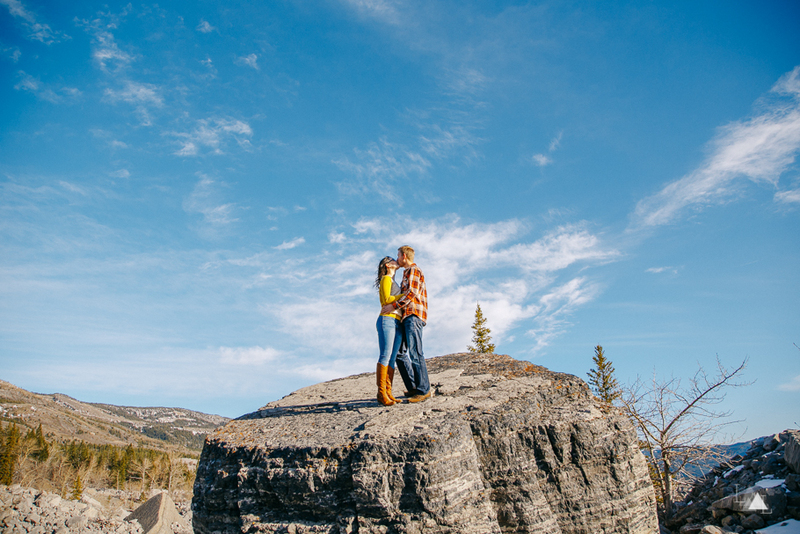 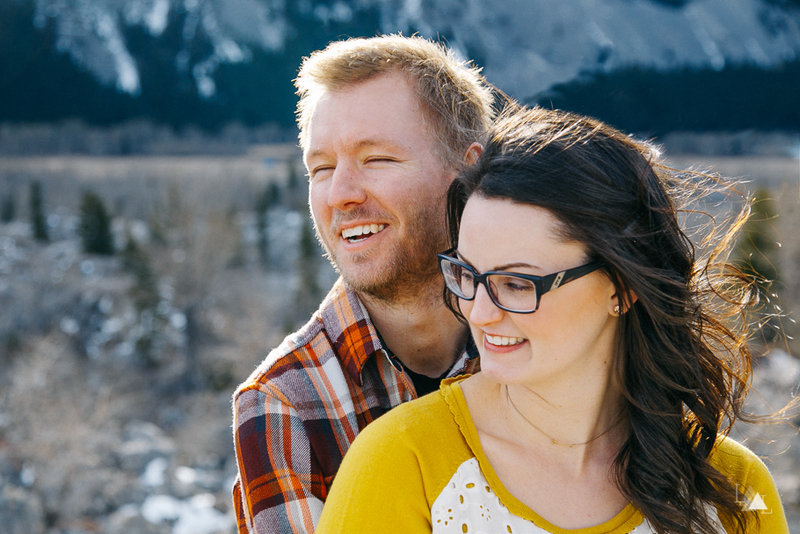 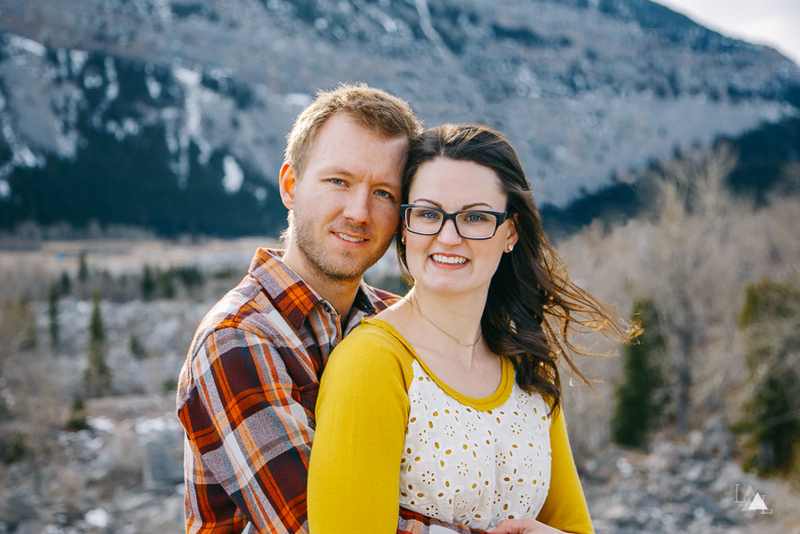 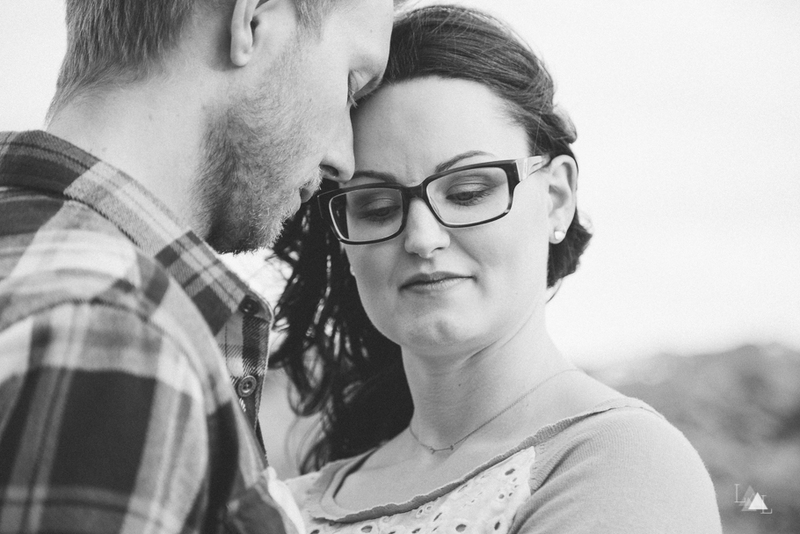 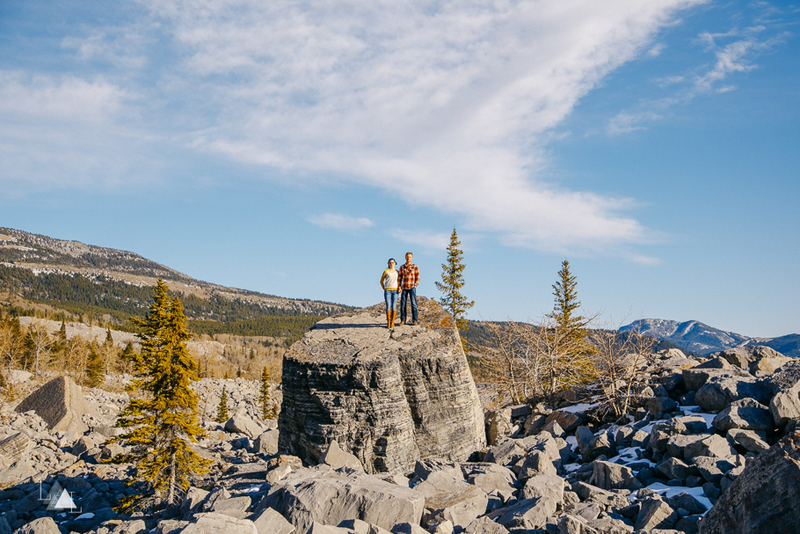 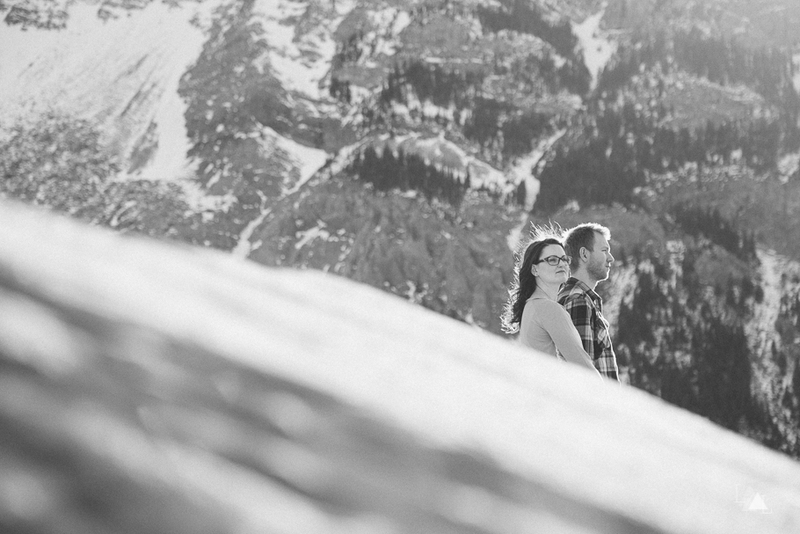 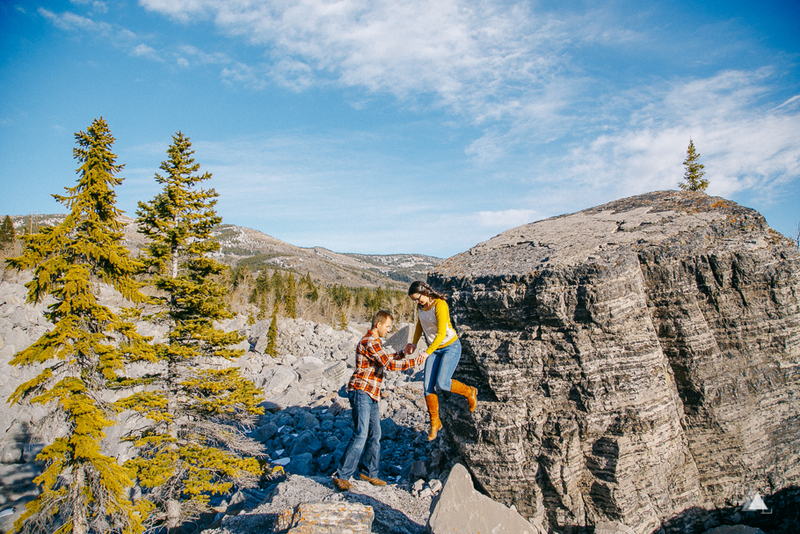 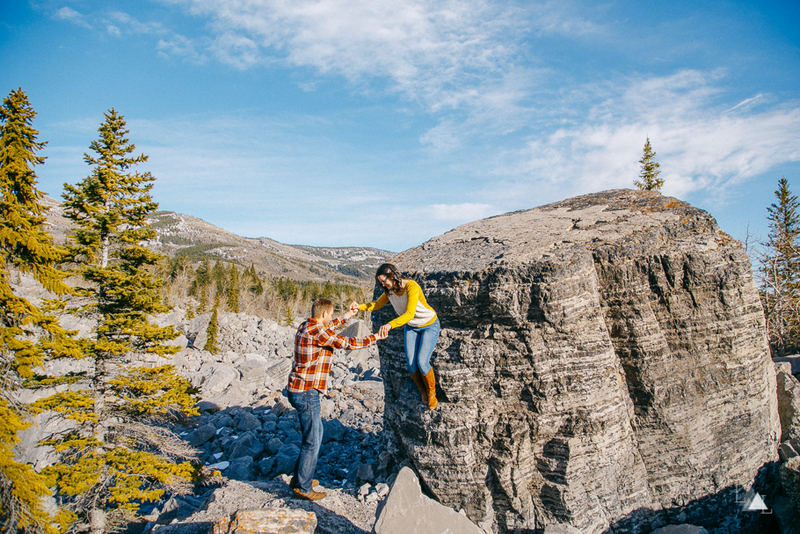 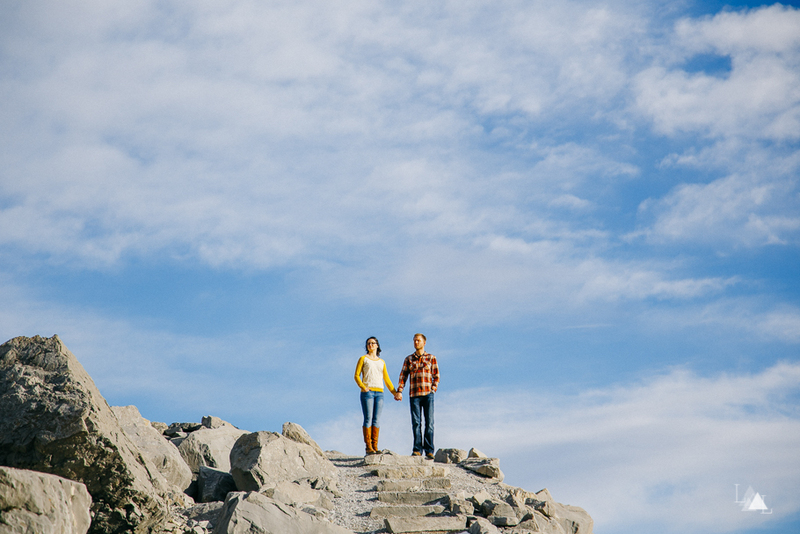 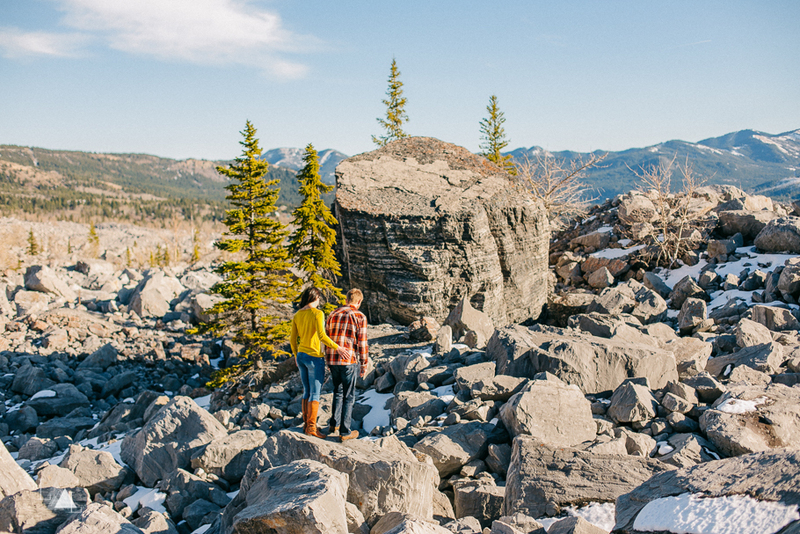 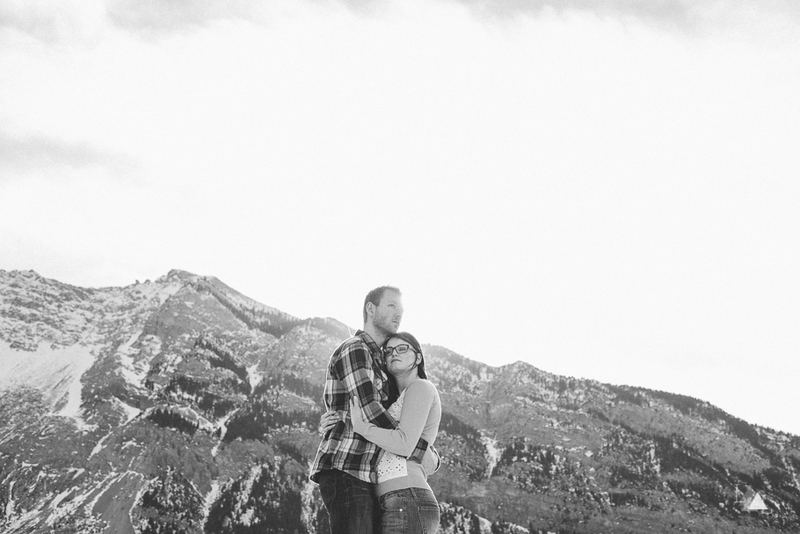 We are back with part 2 of Brett + Kirsten's Crowsnest Pass engagement session. 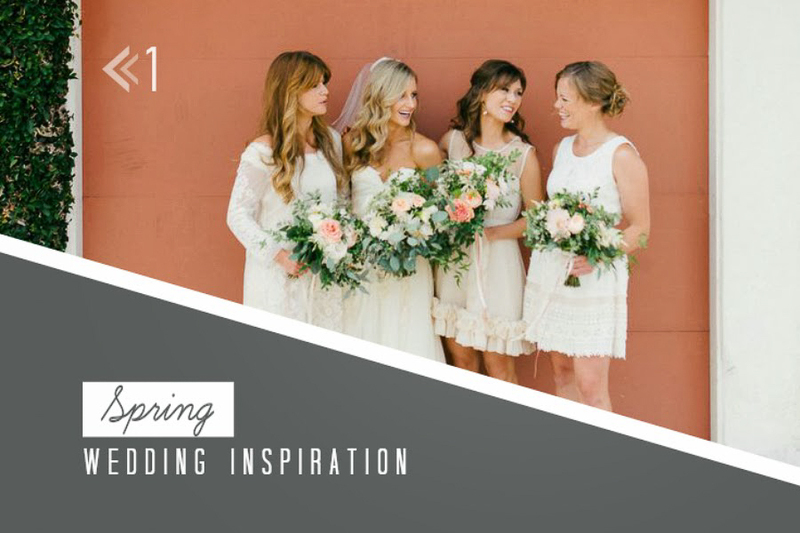 If you missed Part 1, you need to go check that out. 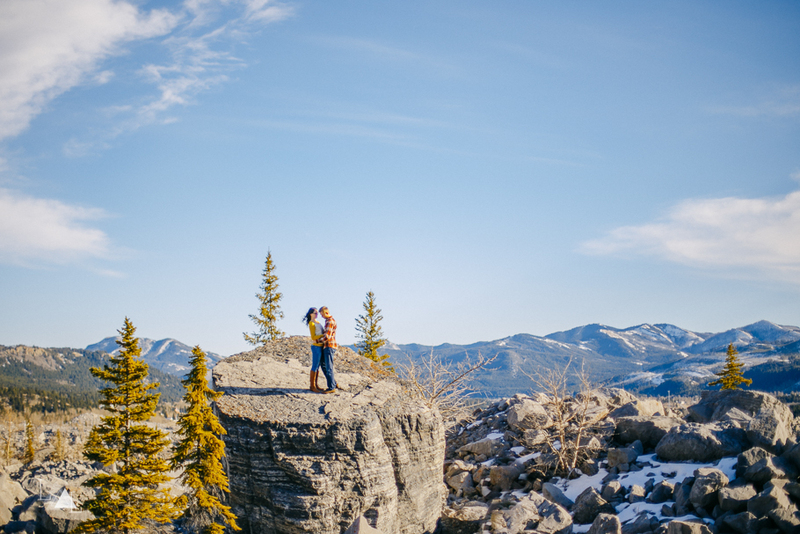 It was packed full of this beautiful couple, gorgeous Alberta mountains, wildflowers, and a picnic of the most adorable sweet treats and champagne. 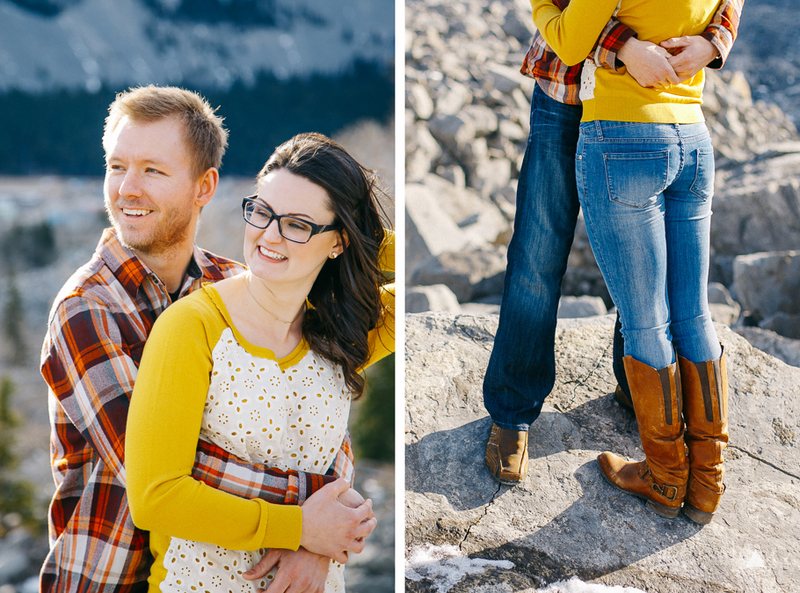 After their mountain side picnic, we headed down the road a bit to the Frank Slide for the second half of their session. 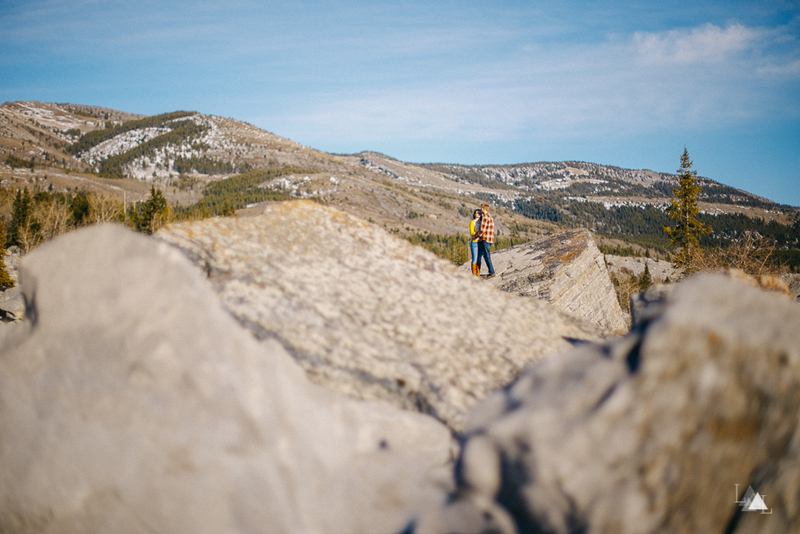 This is such a cool area to explore and adventure through. 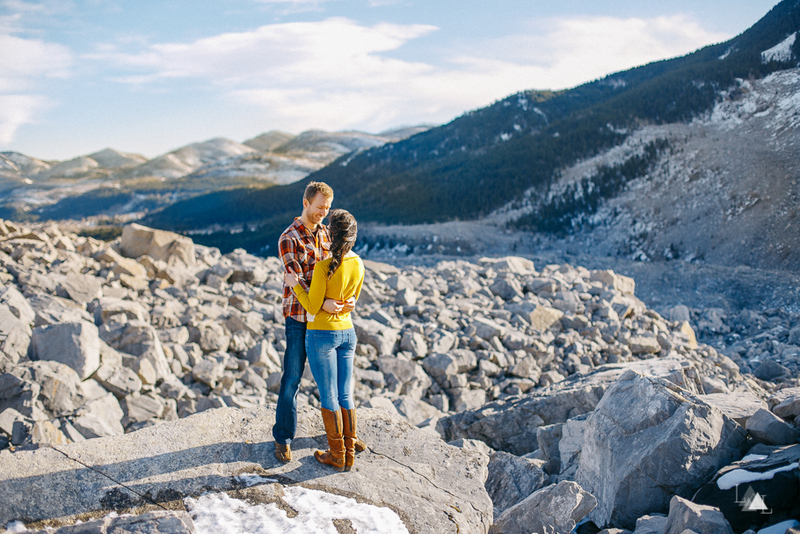 We had such an amazing time with this fantastic couple, and we can't wait to be a part of their wedding this August!